Lisa grew up in a small town in Southwestern PA where she graduated High School in 1987. After High School she attended a career college for Accounting and Business. In 1991 she moved to Ohio with her son, Tony. Lisa also attended the Aristotle Institute for Dental/Medical and Business, where she obtained a certificate for Allied Health Associate. She also attended classes at DeVry University in Accounting and Business. 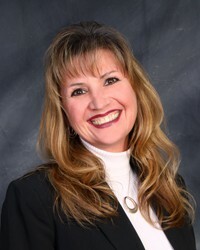 In 2010 she joined the Reynoldsburg Dental Center team. Lisa brings a wealth of knowledge to the practice in many areas! In her spare time Lisa enjoys riding her bike and working out.